Michael Barker claims that he’s an opportunist rather than a pessimist. This outlook in life has certainly helped him survive and adapt to the changing market forces in the 37 years he’s been in business. 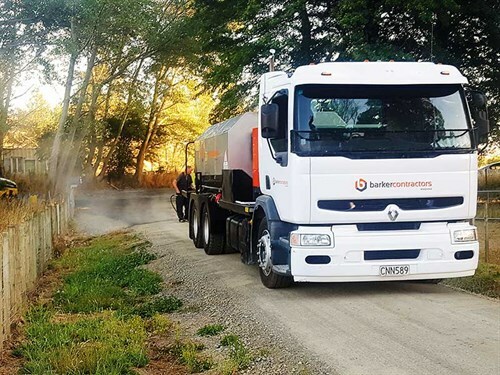 Barker Contractors, based in Waipawa in Central Hawke’s Bay, specialises in all forms of excavation, from running their own quarry to the development of roads, car parks, and landscaping. His latest development is a purpose-built emulsion tanker used for chip sealing. 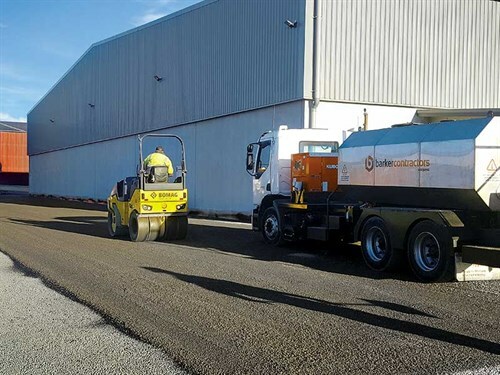 It fits perfectly into what they already do (earthmoving, developing, and finishing) and adds another vital revenue stream. In the past year, the company has undergone considerable restructuring and is now ready for the challenges that lie ahead. But first, some history. Michael spent five years working in Australia grain harvesting and truck driving and was involved in a number of earthmoving projects in the late ’70s before returning home in 1980. He met a local grain harvesting contractor, who was selling his business and so he bought it. When he was offered work to install a number of farm water schemes, he purchased a TracGrip RM20 back hoe and a Ditchwitch 4010. This neatly filled the gap during winter and as growth in farm irrigation was huge, there was no shortage of work. He also saw the potential for mini excavators and purchased two of them. This enabled him to gain work with local plumbing and electrical companies on various trenching and digging projects. Soon, he purchased another harvesting business to add to the expanding grain business. This was followed by the purchase of a hay business and added wrapped silage, too. 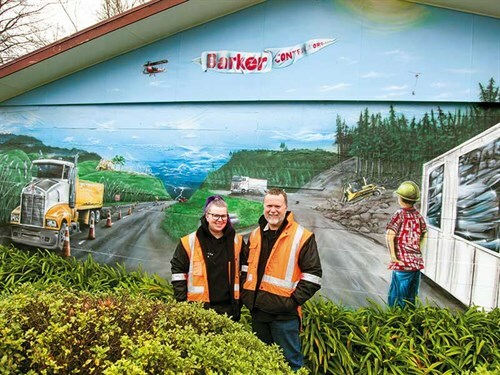 However, retaining staff for a full season became a problem, and so in the late 1990s, Michael decided to sell the summer contracting side of his business and relocated from the rural settlement of Te Aute to Waipawa. "The move to town prompted me to sell all our summer operation machinery to focus on excavation. We expanded to the point where we did lots of niche work, partnering with Automatic Irrigation, Parklands, Waterforce, and numerous other irrigation companies, putting in irrigation into new vineyards around Hastings." 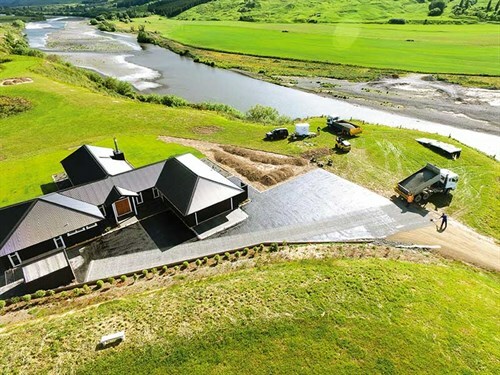 One of Michael’s proudest achievements was completing the entire irrigation system at Cape Kidnappers Golf Course under contract for a Auckland firm Parklands. 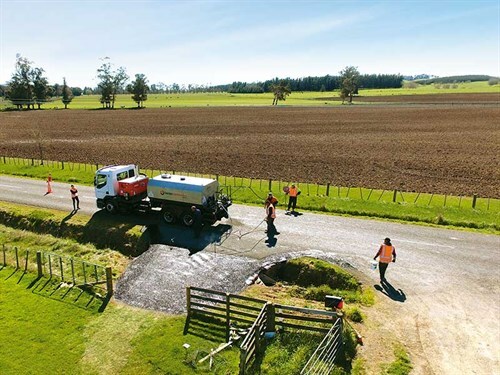 The excavation side of business grew and benefitted from relationships forged early on, such as Wairoa company and QRS (Quality Road Services). They also specialised in cabling and service work with local power company Centralines Ltd. The huge increase in fibre networks being installed into schools kept them busy, too. When the global financial crisis hit around 2008, instead of shrinking from it, Michael went out and pitched for more work. "I thought, we either sink or we can expand. I employed good staff—at one point I had 30—and looked for more work," Michael says. "One of the things we got involved with was forestry roading for PF Olsen and New Zealand Forest Management. That led to starting up three quarries because we needed aggregate. 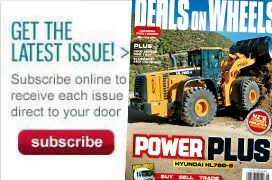 We purchased a new Hyundai 27-tonne digger, two large late model Komatsu bulldozers, some large trucks, and a motor scraper." Things were going well but then came a few curve balls. Without going into too many details, Michael says, "I was juggling too many things and it got to a point where we were seriously going the wrong way, having previously experienced really good times." Michael decided to seek advice. He employed a general manager, John Masters, who asked him some hard questions about what he was doing and why. "Among other things, he said, ‘Aren’t you better off to pay your staff to play cricket in the yard than to go to a job you are going broke on?’"
In other words, rather than waste time and resources, Michael needed to find a profitable, niche market enterprise. "John came from the chip sealing business and we thought there could be good potential in it here in Hawke’s Bay," Michael says. He then embarked on an exit strategy. In early 2016, Barkers sold off their forestry roading division and down-sized to one quarry—Barker Aggregates. "I sold lots of heavy machinery," Michael says, pointing to the wall in his office covered in images of trucks, transporters, and large bulldozers. "I kept what was working. It was all about reducing debt and looking at the items that cost us money. "I also realised our core business—working with mini diggers—had fallen away to some degree. Every plumber and electrician now owns one and can do the work themselves." However, Barkers still continue to work for Centralines (a client since 1980) and other specialised contractors. "I then started buying new but smaller gear: a Schibeci road mill, Kubota B3150 O’Neil mid mount sweeper/broom Combi, a Hyundai R60CR-9 excavator, a Bomag Combi roller, trucks for chip spreading. We replaced our Western Star and widener with pull type transporters," he says. 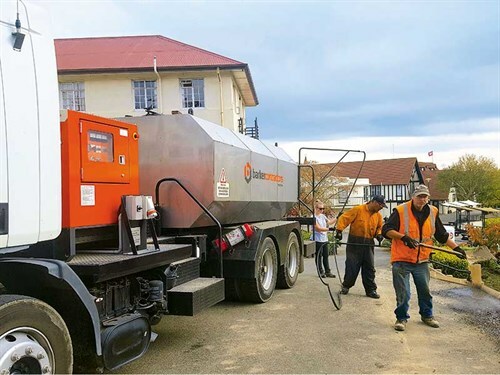 "We also purchased a Kubota U34/4 excavator, and I think we were one of the first in New Zealand to purchase one of the new generation 30kVA generators that we fitted to the new spray truck, which runs not only the heater elements but also powers the pumps and on-board systems." Barkers also formed an alliance with Porter Group for their other machinery and are pleased at how it’s working. "Most of our equipment is now on service contracts, which makes it so much easier in terms of backup and means we no longer need to employ a full-time mechanic. 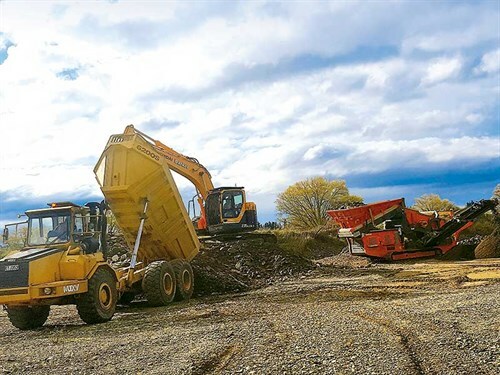 In the quarry, we run a 24-tonne Hitachi loader, a 20-tonne Hyundai, and a smaller 14-tonne Hyundai, along with a Portafill screening plant and an older precision crusher/screening plant. "Who would you call to seal your driveway?" Michael asks me. Actually, it’s a question I’ve often pondered, with no answer until now. "We identified a niche market the big guys aren’t really interested in and is too hard for other smaller contractors to get into. I was fortunate to have the expertise of John, who has had years of experience and was able to train and guide us along the right track. "The majority of our work is car parks, driveways, and commercial car parks and that includes all the landscaping and curbing. We are still expanding and there’s no shortage of work." On the day DOW spoke to him, his team (he now employs 12) had five sites ready to seal but rain had temporarily halted work. One of his biggest outlays with this new work was the truck—a Renault Mack and its purpose-built tanker. The 6000-litre stainless tank was designed by Randal & Associates and constructed and fitted out by Deakin Engineering in Hastings. Powered by a Kubota generator, it’s thought to be the only tanker in the country powered this way. "We did this because we wanted to move away from butane. Instead, it uses electric heaters, which makes it a bit like a big jug," he says. Barkers opted to use CRS2 emulsion following a recommendation from another large contractor. "I believe it’s the way of the future and ticks the clean, green boxes. It also has a number of characteristics that allow for ease of application and fulfils health and safety aspects." Michael likes to keep his eye on the progress he and his team are making with their new-found direction. "I always come to work prepared, with my boots on ready to get involved with the business and certainly now with the sealing process whenever possible," he says. He’s also proud of the new face of Barker Contractors. "We have a new logo, a new website, and a colour scheme that’s sharp, tidy, and clean. If you look at successful companies, they all run new equipment and look good. That’s really important, I reckon."